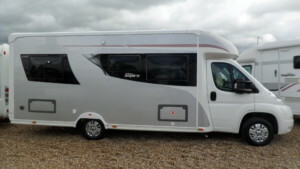 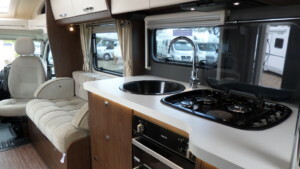 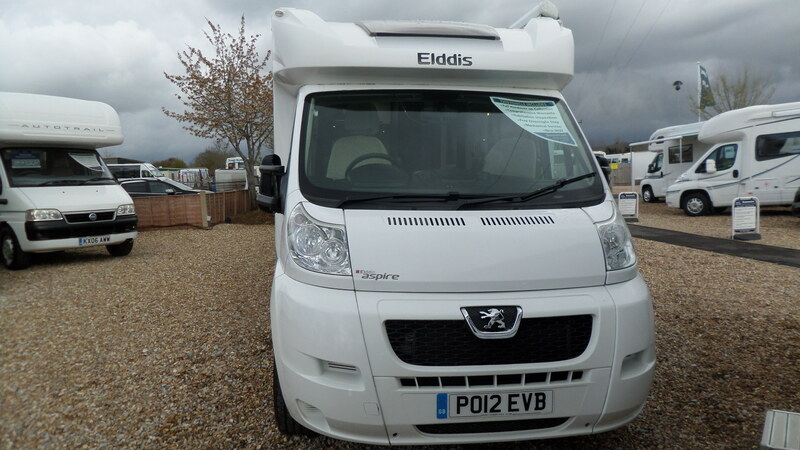 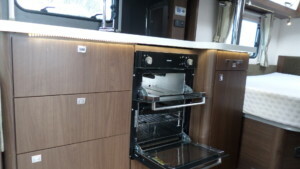 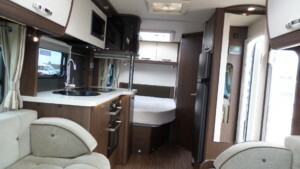 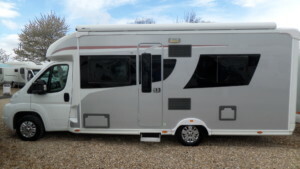 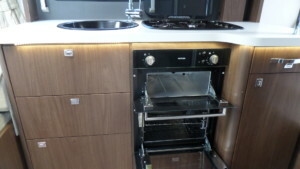 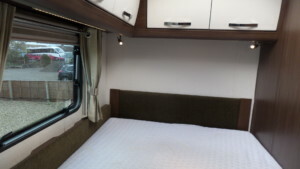 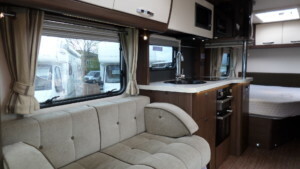 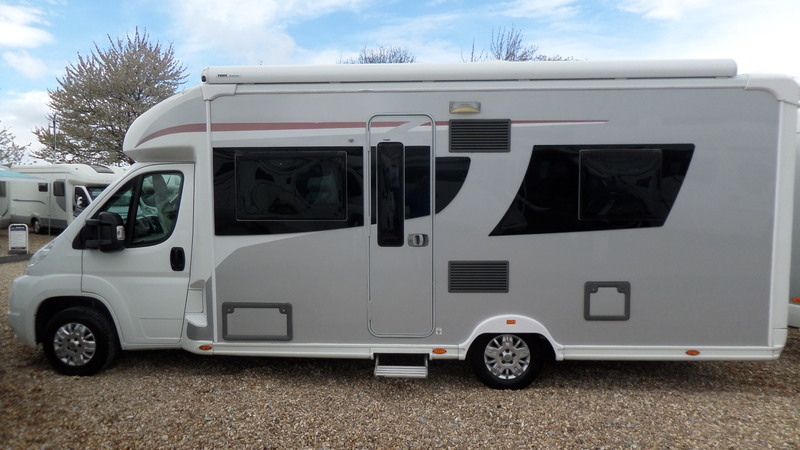 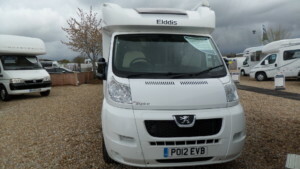 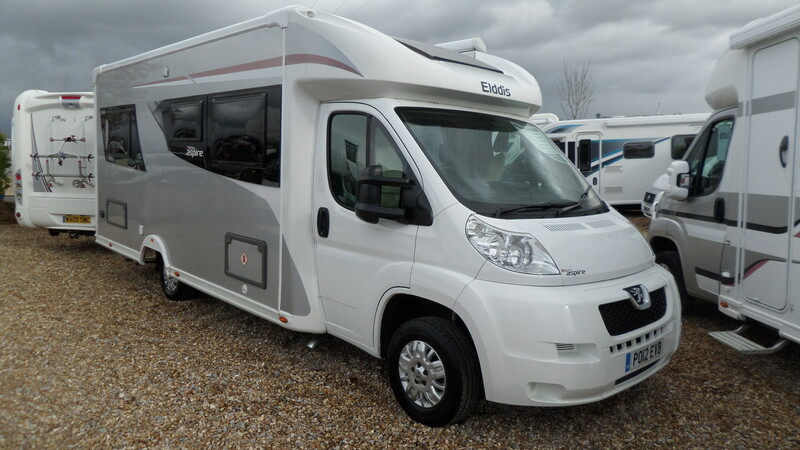 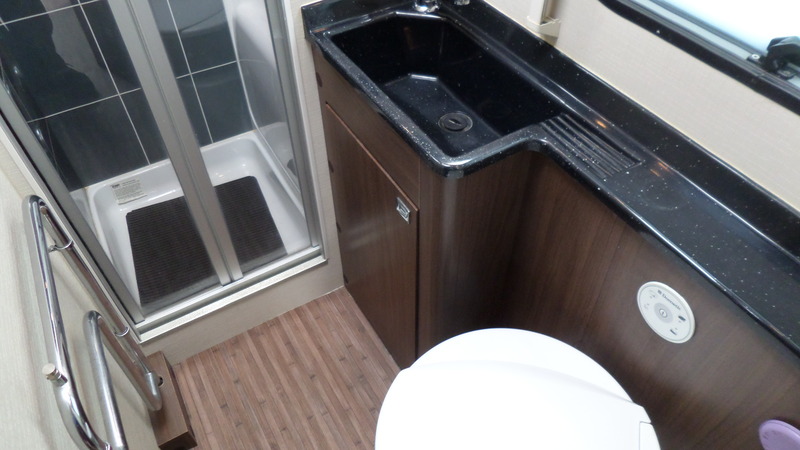 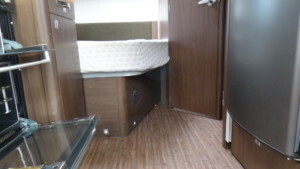 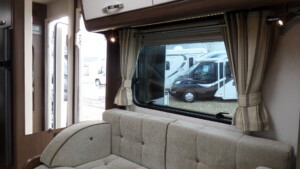 A nice 4 berth model from Elddis. 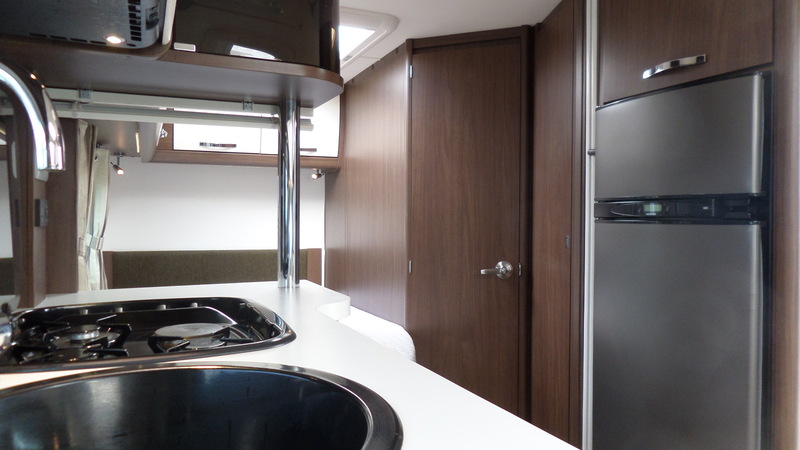 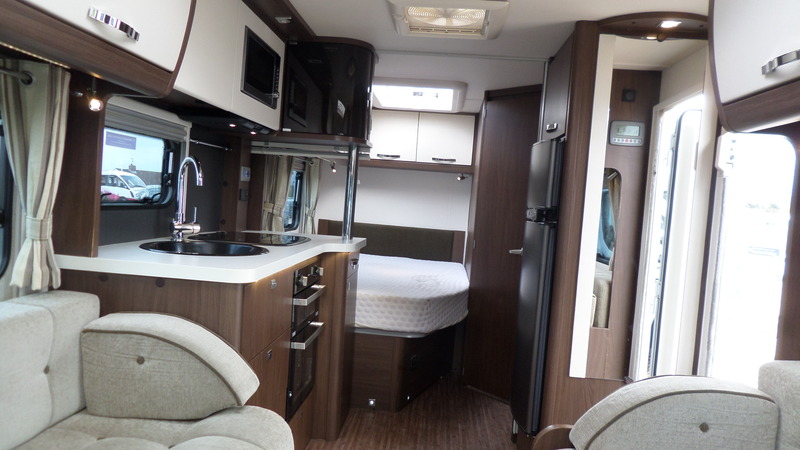 The Aspire 255 features the classic rear “fixed french bed” layout with en-suite washroom. The large fixed bed can be left ready made and of course provides plenty of storage space beneath. 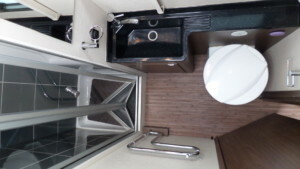 The washroom is spacious with a toilet, vanity sink and a separate shower. 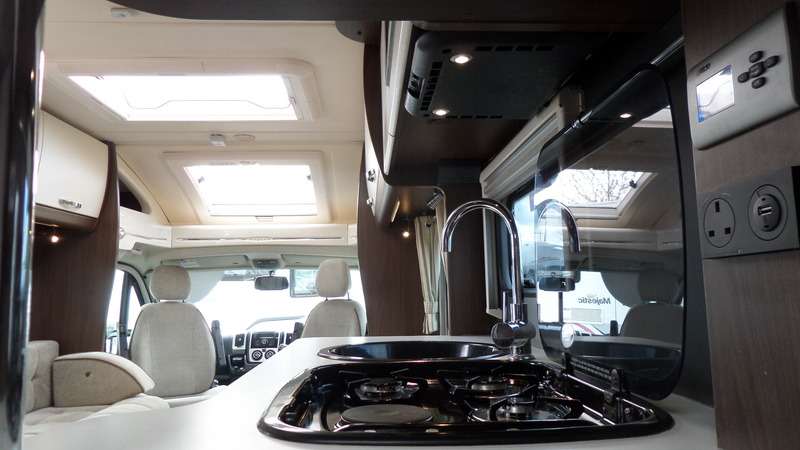 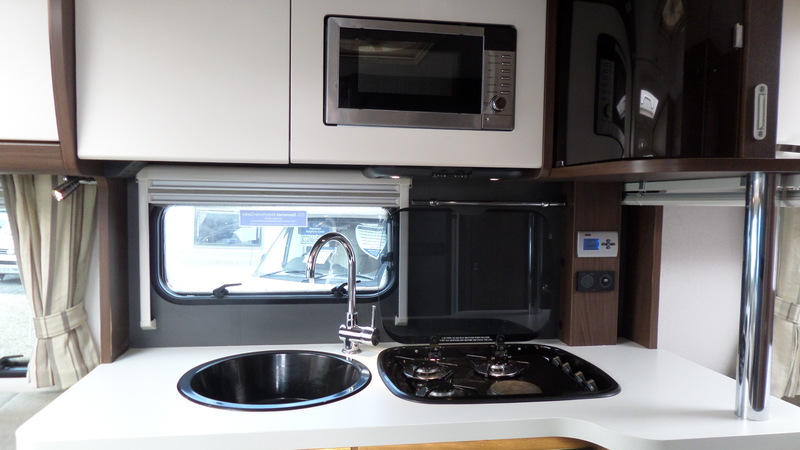 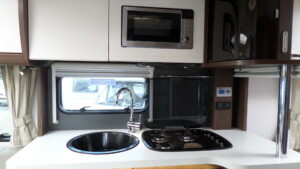 The kitchen is situated in the middle of the vehicle and cooking facilities include a 3 burner gas hob, electric hot plate, grill, separate oven, 230v microwave and large fridge freezer. 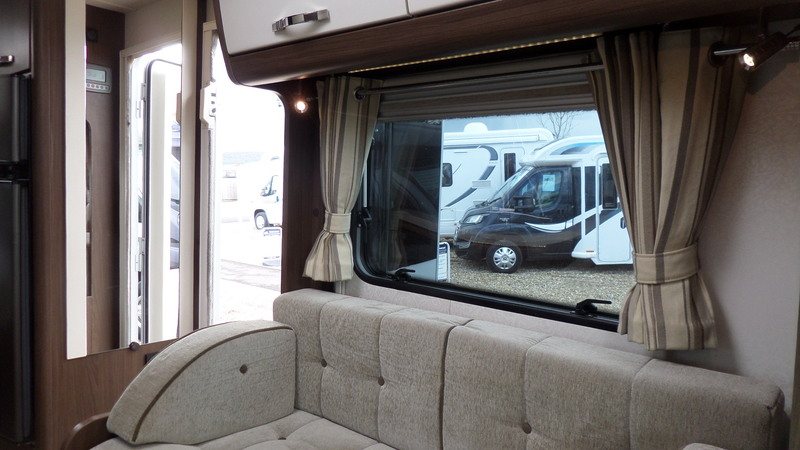 The front lounge is the perfect place to relax with 2 side facing bench seats during the day and when the evening arrives quickly converts into a large bed which completes the sleeping arrangements. 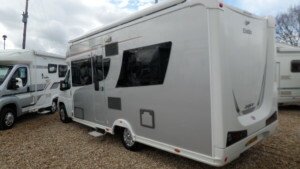 This example comes fitted with a roll out canopy and reversing camera. 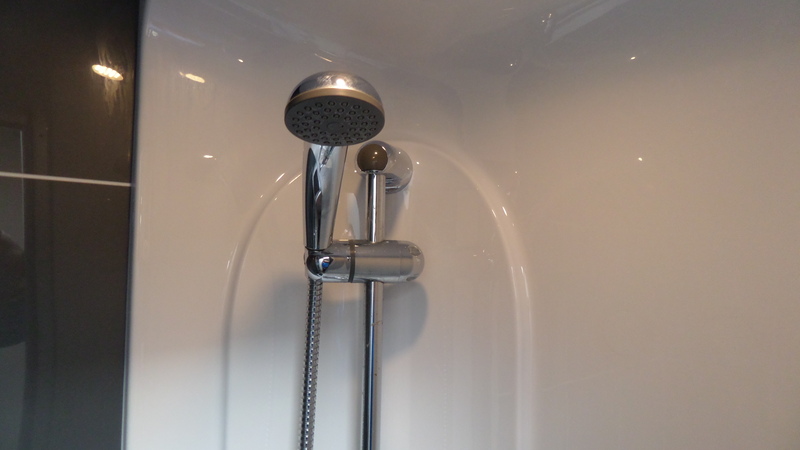 All of this on top of the impressive standard level of equipment including Alde heating and hot water. 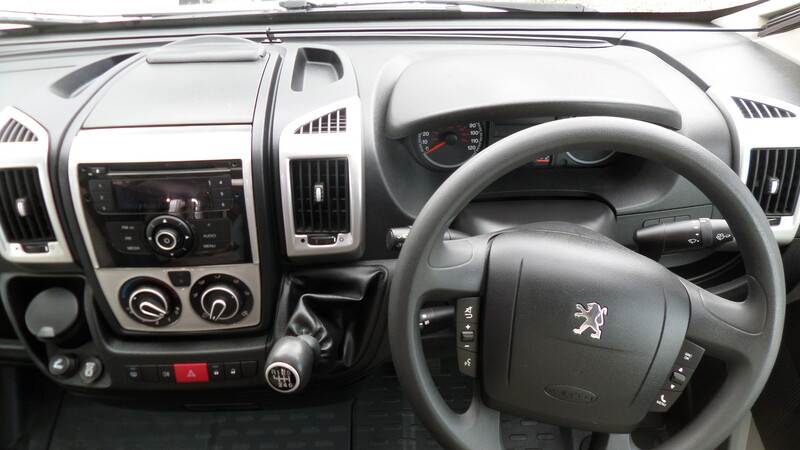 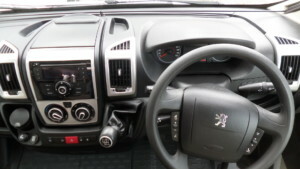 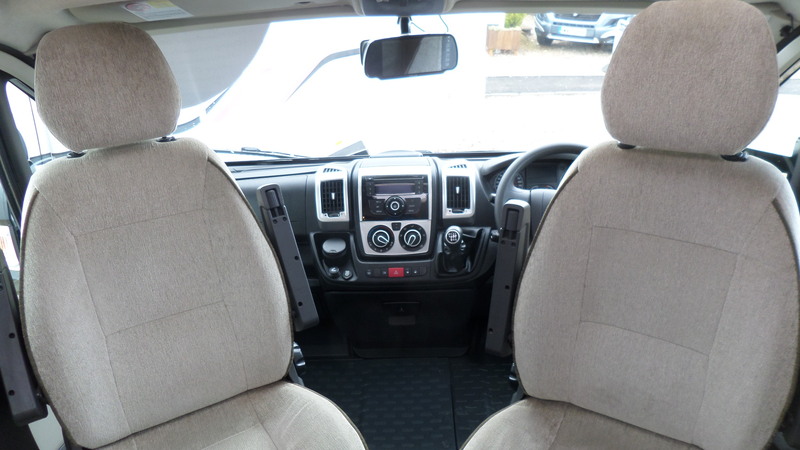 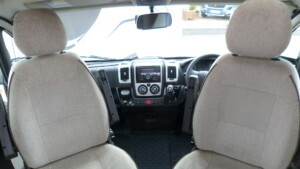 The cab is well appointed with air conditioning, cruise control, electric windows and mirrors, radio CD player with steering wheel mounted controls and swivelling driver and passenger seats.